Outsource Manufacturer and Trading of Rubber Products. 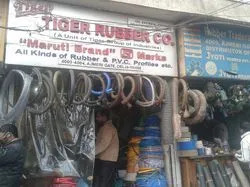 We started our operations in the year 1980, under the name of Tiger Rubber Co. With our qualitative products manufactured and supplied we have carved a niche market in both domestic and international market. We have been successful in gaining a strong customer base with our tremendous amount of experience. 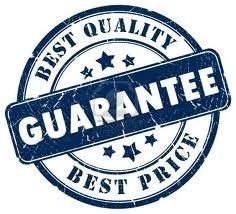 We have always been top priority in providing qualitative products and services to our customers. We are backed up by our team, who efficiently oversees every task related to production, research and development, dispatch, marketing, after sales services and quality controllers. We work on scheduled time, which are well planned, in order to ensure timely delivery of our products. We believe in maintaining long term relationships with our clients. We always believe that our business journey should be pleasant and peaceful for all the stakeholders, be it vendors or customers. Our diligent personnel serve our customers by offering customized as well as regular Rubber products. Moreover, to provide value for money, we give complete attention that our products are suitably packed and delivered on time. We manufacture and supply a wide spectrum of Quality Rubber Products. Some of our range of Rubber products includes (Rubber Pipes, Rubber Sheets, and Water stop Seals, PVC Suction Pipes, PVC Delivery Pipes, PVC Flexible Pipes and PVC Sheets).